The Stockholm – The Wanderers Travel Co. The Swedish capital of Stockholm, spread across 14 islands and connected by bridges crossing open bays and narrow channels, is not just a historic hub, but a refined, modern, dynamic metropolis that is always changing. The old town of Gamla Stan is like a vision from a fairy tale – with looming cathedrals, narrow cobblestone streets and grand palaces. Modern Stockholm is a city of fashion, innovation, technology and design – something the Swedes are particularly famous for! This beautiful city and its broad boulevards lined with elegant buildings reflected in the water, its bustling high tech metropolis and its historic storybook old town, is a magical one to Wander. And what better travel companion than the Stockholm duffle! Equal parts design and function and with particular attention to detail, this duffle was made for Wandering! 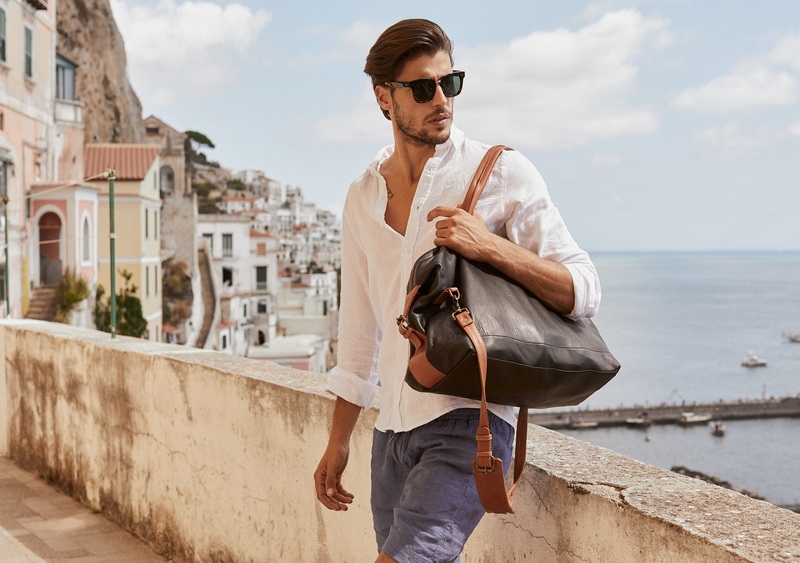 With external zippered pocket, adjustable side buckle detail, removable long shoulder strap and leather carry handles, the Stockholm duffle is designed with travel in mind.